Question: I know that video is very popular these days. I’m wondering what are some ways that my company can start using video in social media and marketing programs? If you haven’t used video yet in your marketing program, it’s time to go all in. Social Media Examiner’s 2018 social media marketing industry report states that 58% of marketers plan to increase their YouTube organic activities in the next 12 months. Do a weekly video blog with your executives to talk about the industry, the technology, customer problems, etc. Have your customer support department do short “chalk-talk” videos highlighting common problems and your company’s solutions. Do videos of informal conversations with customers. 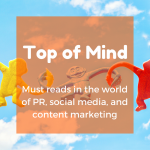 Edit into snackable bits, post on the website, and promote on social media. Solicit your customers/users to share videos of their success with your solution. Post those on social media. Create longer, serialized videos to get more views going forward. Social Media Examiner’s Michael Stelzner says that people want the “behind the scenes” view. Create videos highlighting comments from other videos. Reference a past video and some of the comments. That way, it drives people back to watch the original video. 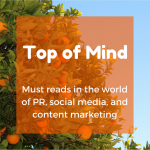 TopRank Blog has a list of helpful hints for first-time video marketers. Live video is king. 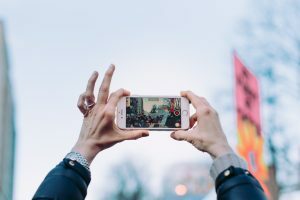 Live videos get 6 times more interaction than regular video, according to the Social Media Examiner’s 2018 social media marketing industry report. 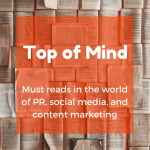 Become the news source in your industry. Go live to discuss what the news is and what your reaction is to that news. 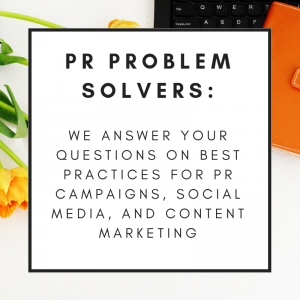 Send your PR, social media or content questions to cmartell@martellpr.com with the subject line: PR Problem Solvers. Check back often to see the answer to your question, as well as what others have asked. This entry was posted in Social Media and tagged PR, social media, video. Bookmark the permalink. ← Q&A: What Do Reporters Want in a Story?